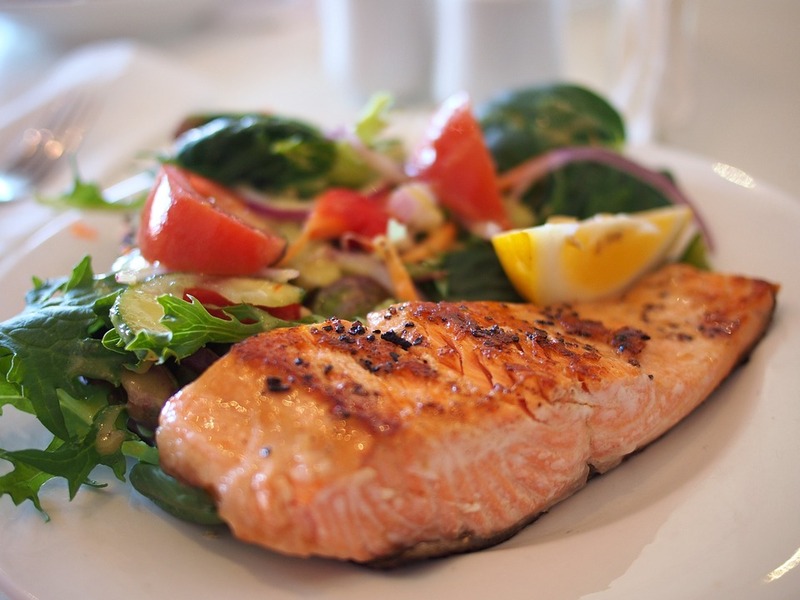 Salmon that is cooked in the oven is delicious and tasty. It is easier and simple to cook. The cleanup process is simple and easier. Ensure that you line the baking dish or pan using a foil. Heat your oven up to about 400 degrees F.
Line the baking pan with aluminum foil and spray it with the cooking spray. Use a paper towel to pat the salmon fillet dry. 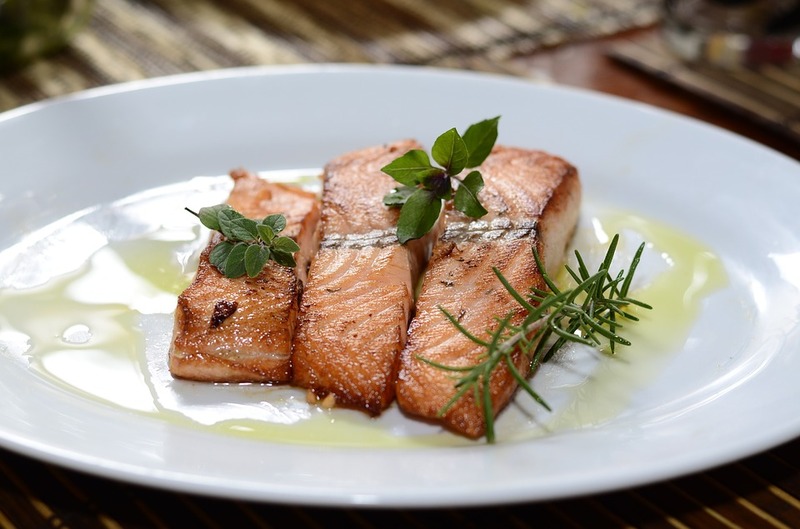 Spread a tablespoon of olive oil on the salmon fillet. ​Season with pepper and salt to taste. you can also add your f﻿avorite seasonings. ​Place the salmon in the ﻿oven and bake for about 12 minutes. Check its doneness after 10 minutes. If the fillet is thicker it will take more time. If the meat flakes easily when you use a fork, it is ready. Before you serve, squeeze a slice of lemon on top. Combine the oil, salt, basil, garlic, lemon juice, pepper, and parsley to make a marinade. Put the fillets in a baking dish and pour the marinade over. Ensure that it covers the fillets well. Keep it in the fridge for about an hour to marinate. Heat the up to 375 degrees. Put the salmon fillets in aluminum foil, add more marinade on the fillets and seal. Place them in a baking dish and bake for about 45 minutes. When ready, they will flake easily when using a fork. 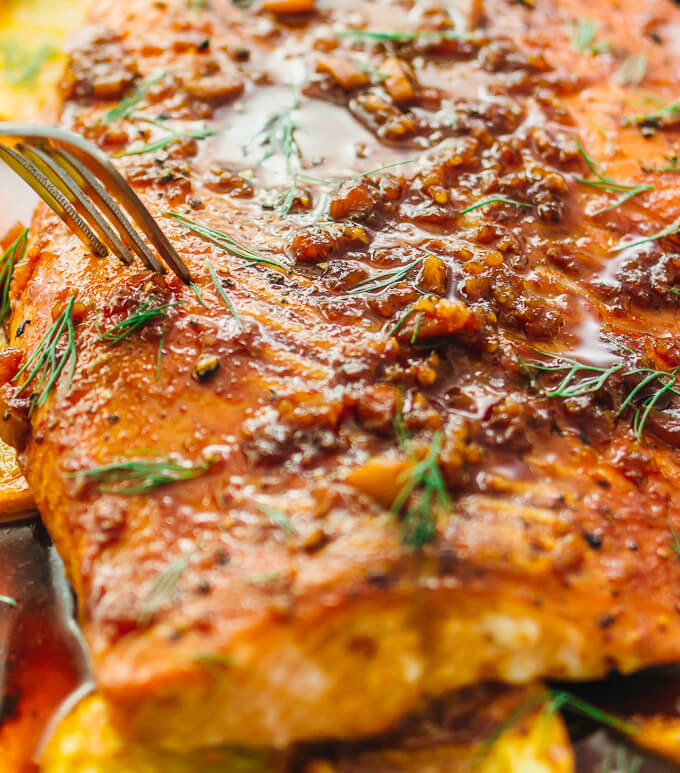 This is a simple and delicious recipe that you can follow to cook your salmon in the oven. Your whole family will like this. 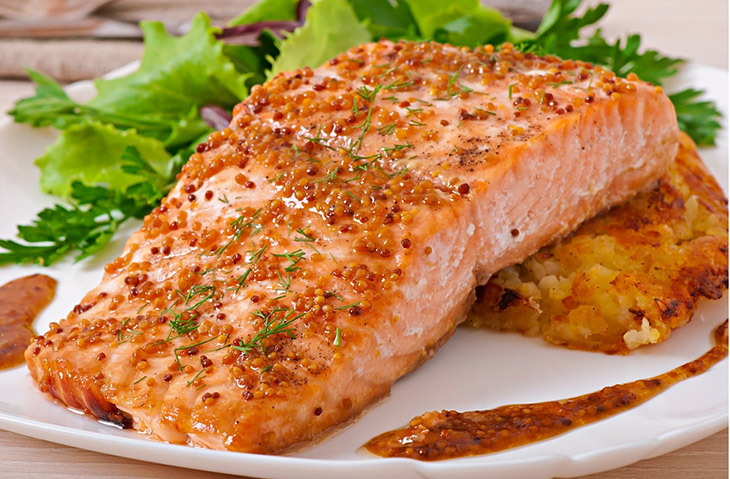 Season your salmon with pepper, salt, and other seasonings that you may like. Put it on a baking sheet with the skin side down. Cook in the oven for about 15 minutes. Ensure that it cooks through. When ready serve with parsley almond salad. Prepare the parsley almond salad by mincing the shallot. ​Add a pinch of salt and vinegar on top. Allow the mixture to sit for about 30 minutes. ​Chop the capers, almonds, and parsley roughly. Add them to the minced shallots. Add olive oil and mix. You can adjust the seasonings as you like. The recipe is easier to follow. You only need to bake the salmon in the foil packet. The cleanup process is easier and effortless. Heat the oven up to 375 degrees. Use a foil to line the baking sheet. Mix the sugar, butter, lemon juice, thyme, oregano, garlic, salt, rosemary, and pepper in a bowl. Put the salmon on the lined baking sheet and fold all the sides of the foil up. Spread the butter mixture on salmon. Fold the foil over the salmon and cover it well. Cook in the oven for about 20 minutes. Ensure that the salmon cooks well. Serve when hot and garnish with parsley. 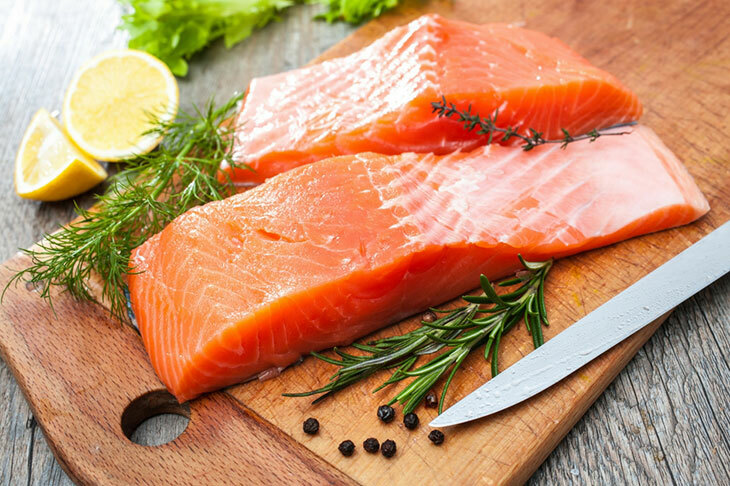 Cooking the salmon at low temperatures will melt the fat in the meat and leave the fillets tender and moist. The thyme and lemon will add a layer of flavor. Heat the oven up to 275 degrees. Use aluminum foil to line your baking sheet. Brush the inside with ½ tablespoon of olive oil. Put the fillets on the baking sheet with the skin side facing down. Combine thyme, olive oil, zest, in a bowl. Spread the mixture on the fillets well. Season them with pepper and salt. Let sit for about 10 minutes to ensure that the flavors blend. Cook the fillets in the oven for about 18 minutes. When ready serve with the lemon wedges. Did you like the above recipes? Baked salmon is delicious and tasty. It can be served as the main dish for lunch or dinner. It can be served with salads, asparagus, beans and ﻿greens, rice, mashed potatoes, sauces, and others. You can use your favorite ﻿herbs when baking. 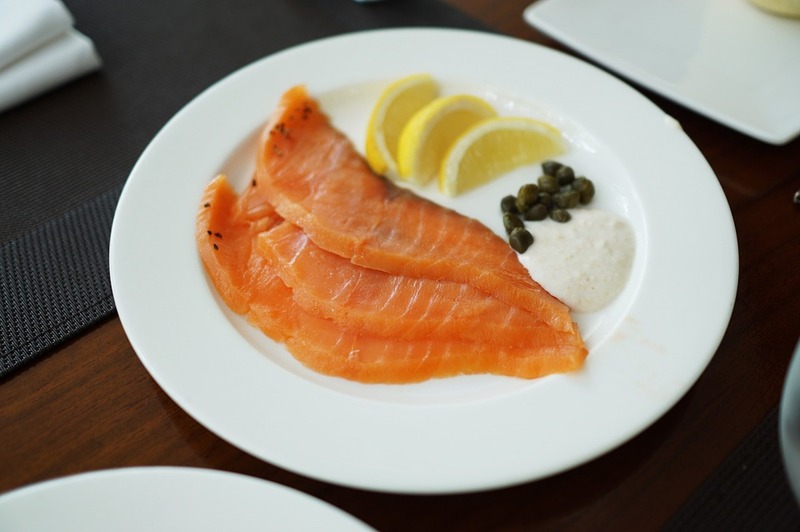 Feel free to share with us your tips and ideas on how to cook salmon in the oven. 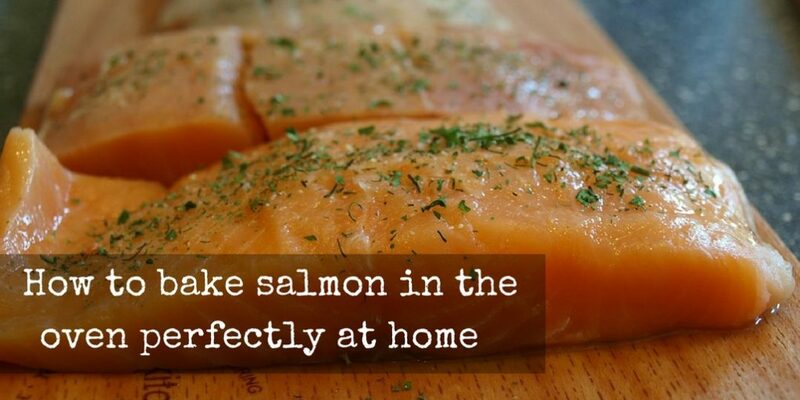 ​Related: How long can cooked salmon stay in the fridge?